While the Stradivarius violins is widely considered as rare violins, one couldn’t agree more that the 1741 Ex-Vieuxtemps could just be ranked among the best. Ex-Vieuxtemps was the artwork of famous violin maker and also the fiercest rival of Stradivarius, Guarneri del Gesu. 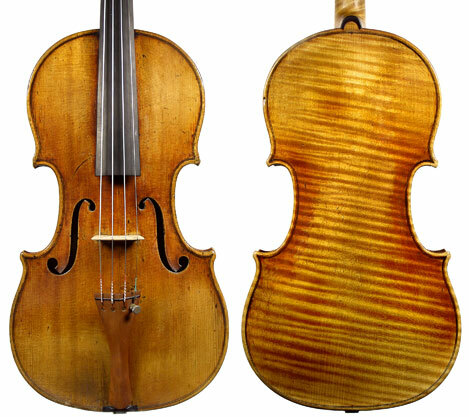 The violin is one of of his last piece of workmanship by Guarneri before his death in 1744. It is named after Henri Vieuxtemps, a 19th-century Belgian composer, a violin prodigy and a court soloist to Tsar Alexandar II. The Ex-Vieuxtemps Guarneri has passed through the hands of accomplished violinists, including Yehudi Menuhin, Itzhak Perlman. Most recently in 2008, Pinchas Zukerman, an Israeli violin virtuoso, performed with the violin during a concert in Pashkov House, Moscow. Ex-Vieuxtemps has changed has its owner several times in the past years and in 2010, it is owned by Ian Stoutzker, a retired British financier and music philanthropist. In 2008, the Ex-Vieuxtemps was sold for a world-record price of US$3.9 million. 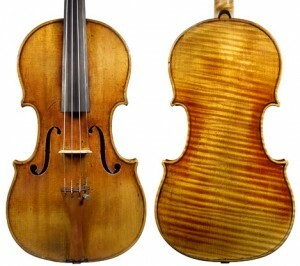 In 2010, the violin was suggested to be worth US$18 million. Never heard of this maker, I sure would like to have one, if there is any more.